Darlings, you should know by now that I am a sucker for mascara. I’ve been seeing Younique’s 3D Fiber Lashes all over Instagram and Pinterst lately so when my new friend Jamie reached out to me about reviewing some Younique products, you better believed I jumped at the opportunity! Jamie was kind enough to send me a whole goody bag of fun products to review but today, I’m going to focus on my favorite – the 3D Lash Mascara! Firstly, the packaging is gorgeous! I love that Younique spoils it’s customers with beautiful, quality packaging. I don’t know of any other mascaras that come with a case, especially one that reminds me of the classic Chanel quilting. The transplanting gel brush is very much a regular mascara wand that has a slight hourglass shape. The fiber wand is like a fuzzy mascara wand. 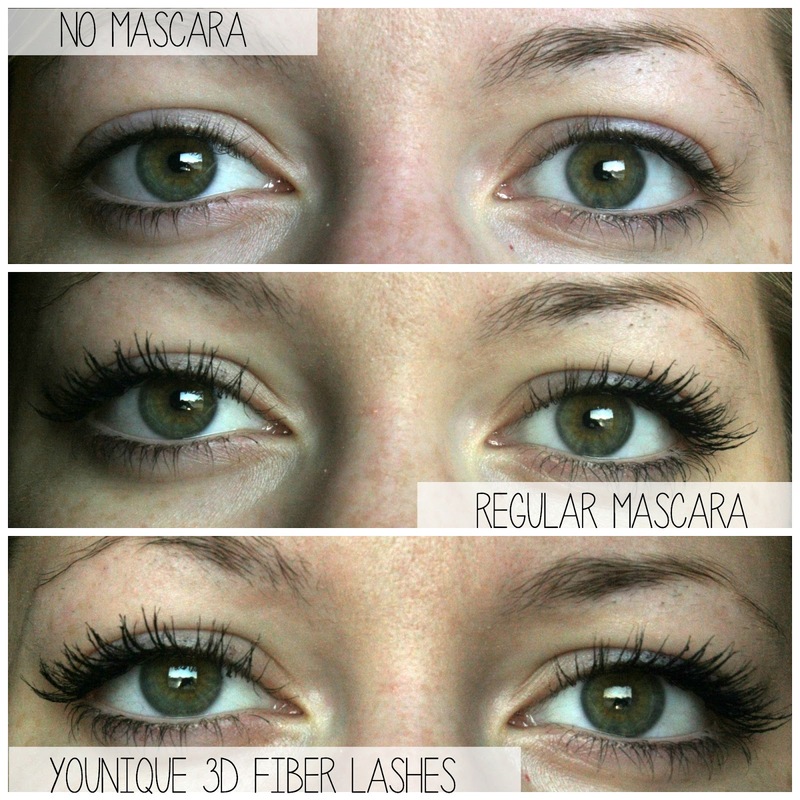 Younique 3D Fiber Lash Mascara is applied in three steps. First apply the transplanting gel to lashes, then apply the fibers, and then again the transplanting gel to seal the deal. My first application was a bit messy but once I got the hang out how to use this power duo, magic happened, as you can see below. When just the transplanting gel and fibers are used, it gives a great everyday look, but if I want even more vavavoom, I use another mascara first, then place the transplanting gel and fibers on top. I recently wore this mascara out on the town (say hello to this SnapChat beaut, haha)! Overall, I L.O.V.E. this mascara and will definitely be ordering again. It’s 100% worth the $29 price tag. It gave my lashes tons of volume and beautiful length and I wish I had this mascara back in the spring when I was competing in Miss Ohio preliminaries! Have you tried Younique’s 3D Fiber Lash Mascara yet?